Welcome to Brandee’s Book Endings’ stop on the Champagne Toast Blog Tour. 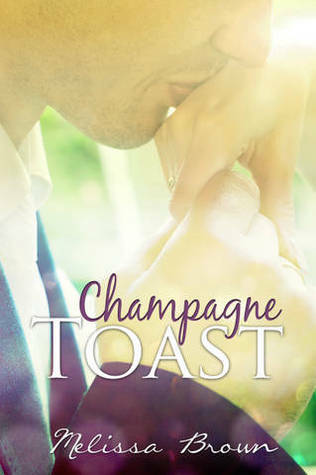 Make sure to check out my Review, the Excerpt from Champagne Toast AND enter the TWO GIVEAWAYS Melissa is providing below on this page! 2. Grand Prize Giveaway Melissa is awarding – one $50.00 gift card to the Winner’s choice of online book retailer! Kate Armour and Evan Maxwell fell hard and fast for each other while attending college. Their once passionate and loving relationship ended when old scars eventually tore them apart. Two years after their breakup, they’re each struggling to piece together what went wrong in an attempt to move forward. In Bouquet Toss we are first introduced to Evan, the main male character in Champagne Toast. That being said, although there are some references to characters in Bouquet Toss, this book could certainly be read as a stand-alone book. However, in whatever order you chose, I would also recommend to you reading Bouquet Toss. 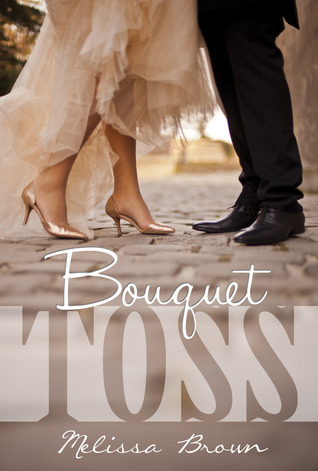 And to celebrate the Champagne Toast blog tour, Bouquet Toss is FREE on Amazon through Friday, January 25th!!!! I really enjoyed reading this book. I felt the connection between Kate and Evan and kept my fingers crossed for them along the way. Could Evan be a better boyfriend? Well, I guess he could have been better when ……………. (you will have to read to find out what I mean), BUT I totally understood where he was coming from! The book is told in both Kate and Evan’s point of views. I really enjoy that feature while reading a book so that I really get to know what is going on in the characters heads and why they do the things they do. You should know that the date is at the beginning of each chapter to help set the scene of how Kate and Evan met, fell hard and fast for each other, and then (what I was dying to know is) what happened to make it all go terribly wrong to bring their relationship to an end……..
Melissa was able to make me smile, sigh and I am not ashamed to admit did bring tears to my eyes with this book (I did not sob, but it I certainly shed a few tears). There are just those times when you are reading a book or watching a movie that the emotion of a scene just tugs at your heartstrings. Like I have said before, I love having my happily ever after, so you can’t blame me for hoping for it throughout my book whether I get what I want or not! I loved reading along and watching Kate and Evan’s “first love” story develop……..all the way from that instant attraction/chemistry meeting ……to the passionate sparks flying…….all the way to the heartbreak they both endured. For those of you that love sitting down and watching/reading a good “chick flick” this is the perfect book for you. “Evan, can you help me?” Kate asks. She’s standing on her tiptoes, her t-shirt rising up her back, exposing her midsection. I do my best not to stare as I walk towards her. She glances back at me over her shoulder before continuing her request, “Vince put the spare key to his office on the highest shelf of the bar and I can’t reach it.” Her hair smells like strawberries. “Ev, c’mon.” Yeah, that’s another thing. She started calling me Ev. It drives me crazy. I can’t take it! Every time she says it, I want to throw her up against the bar and kiss her hard, really hard. I want her all to myself, to make her mine, and yet when the fantasy is over I realize I can’t have her. Not yet. “All right.” I hand her the keychain and give her a crafty wink. She gives a satisfied smile. “What do you need it for anyway?” I ask. “I don’t.” She raises an eyebrow at me before walking away to take orders from a large table of college students. My jaw hits the floor as she saunters away, looking back with her signature tease of a grin. This girl is going to be the end of me. 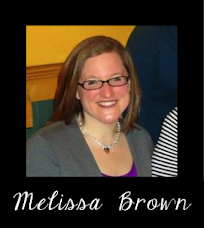 Melissa Brown is a hopeless romantic living in the Chicagoland area with her husband and their two children. Aside from writing, she enjoys reading and baking. She also has a slight obsession with actor Henry Cavill and the TV show New Girl. This is her second novel. January 21st Reality Bites! – Let’s Get Lost! !